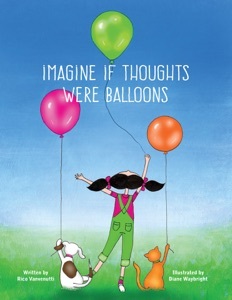 Take a journey into the world of thoughts with Diane Waybright, who illustrates the latest release from Hermes House Press titled Imagine if Thoughts were Balloons. A book written by Rico Vanvenutti for children (and thinkers of all ages) her whimsical illustrations bring life to the unseen thoughts we think about in our everyday lives. With a new approach to letting go of and holding on to thoughts, readers will never think about thoughts the same way again! Visit Hermes House Press to order a signed copy now! Socrates, Plato, and Aristotle certainly must have had their own sources from which their words of wisdom originated. It’s quite possible that they—like author and artist Diane Waybright—received some help from spirits in a bottle, but most likely of the distilled variety that led to some pretty bad headaches the morning after. 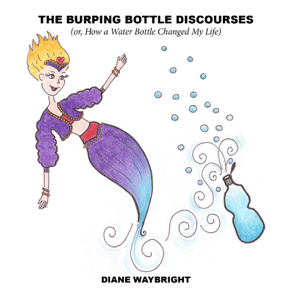 In THE BURPING BOTTLE DISCOURSES Diane t shares with readers how her attention and imagination are captured by the strange and persistent behavior of her water bottle. Each time the bottle burps she connects with a rich creative source of inspiration from within. The advice and energetic support she receives via these discourses leads to a profound and transformative experience—minus the headaches.